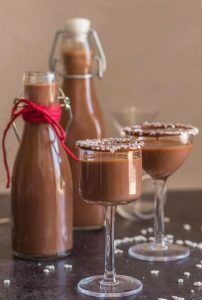 Homemade Creamy Nutella Liqueur an easy delicious hazelnut cream liqueur. Cold or on the rocks is the perfect holiday drink or dessert. 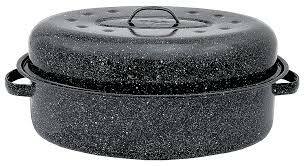 This looks so yummy – perfect for a small gathering at the holidays. In a medium pot on low heat add Nutella, milk, cream and sugar, stir with a wooden spoon, as soon as the mix starts to boil remove from heat and let cool completely, stirring occasionally. Then add the vodka and stir to combine. Pour into bottles and refrigerate 2-3 days before serving. Enjoy! The holidays are fast approaching. You have friends and family coming for dinner, brunch, or just dessert & coffee. 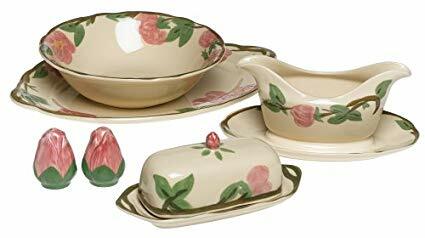 You’re working on your menu, gathering ingredients, and pulling your dishes out of your china cabinet, and you realize you were meaning to stop and pick up a matching serving bowl for mom’s dinnerware, or your turkey won’t fit in the roaster you currently have! Where do you find those special pieces this close to the holidays?? ?You’re in luck. We have a large selection of turkey roasters, gravy boats, pie and cake servers relish dishes, and more for your holiday entertaining needs. We have many pieces of Franciscan Desert Rose dinnerware, including dinner plates, gravy boat, salt & pepper shakers, and more! Just serving brunch this year? 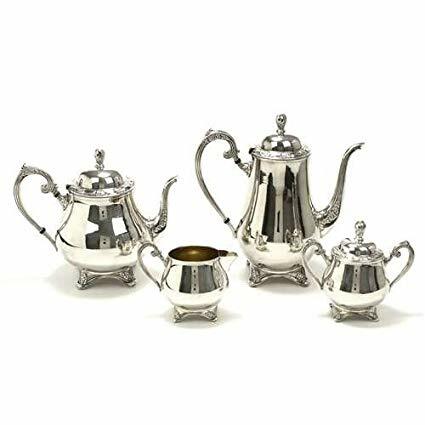 We have a few very nice silver plate coffee service sets. aahhh, nothing like a vintage enamel roasters – turkey never tasted sooo good!